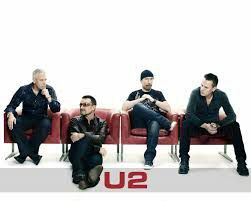 U2 has been a highly successful group throughout their history, with more than twelve studio albums and over one hundred and fifty million records sold worldwide. They have also won twenty two Grammy Awards and were inducted into the Rock and Roll Hall of Fame. This did not happen overnight, however, and the band has had many troubles along the way. With a dream in mind and instruments in hand, U2 created a legacy that people will never forget. Their initial works were covers, like most starting bands, but the band was not satisfied with that style. In fact, they did not have very much musical experience at all, and they stated themselves that not knowing how to play was not a problem, music was more about energy, and the message the band was trying to share. Businesses can have their hard times, even if they are rock stars, but obstacles can be overcome. As shown by the band U2, businesses can succeed no matter the problems they have faced throughout their many years. With hard work, devotion, passion, and the ability to attract millions of fans around the world U2 rose above other rock bands and became legends in their own right. U2 started the band with very little musical knowledge, but they found that as long as they enjoyed what they were doing, people would follow them. If you can find a topic or an item that you are passionate about, then you have the first step to start a business. Share the passion with other people; spread the word and get other people excited about the same things you are. You never know whose life you will change. People are much more willing to help or support an organization if it supports a cause the people believe in. In the case of U2, Bono and the band would play at benefit concerts, or would write songs about wars and violence. This led different audiences to experience the bands’ messages, and even helped form a communal identity. Businesses can also have a lot to gain from helping a cause. When customers see that the corporation is willing to help and are aware of the problems around them, it sheds a good light on the company and opens up new opportunities for success and growth. Throughout all of the years and trials, U2 never stopped working as a team. Even if they had their differences in music, they continued to record songs and please their customers. Business partners may also have differences when they develop products, or when they have diverse marketing ideas. As long as they are able to talk through the problems, and keep their heads, you will find that businesses are able to succeed in spite of the arguments. One of the reasons U2 is so successful is that they connected with their audience, with Bono going among and dancing with audience members. This really allowed the audience to feel involved with the band. It is not impossible for businesses to do the same. By using marketing to interact with customers on a more personal level, you may be seen as more approachable and as a company which people will be happy to support. When U2 was told that their music was feeling repetitive and old, they were able to find new styles of their own, morphing their sound into something the audience would enjoy, while at the same time still maintaining a sound they were proud of. By keeping in touch with what their customers and audience wanted, U2 was able to stay at the top of the charts, and continue their success through the years. This is possible for businesses as well. If a business is stuck or is losing sales, you should be willing to look at the latest trends, and work with new ideas to improve your company.